There are moments in every country's history when decisions are made and actions are taken that will change the course of that country's future. 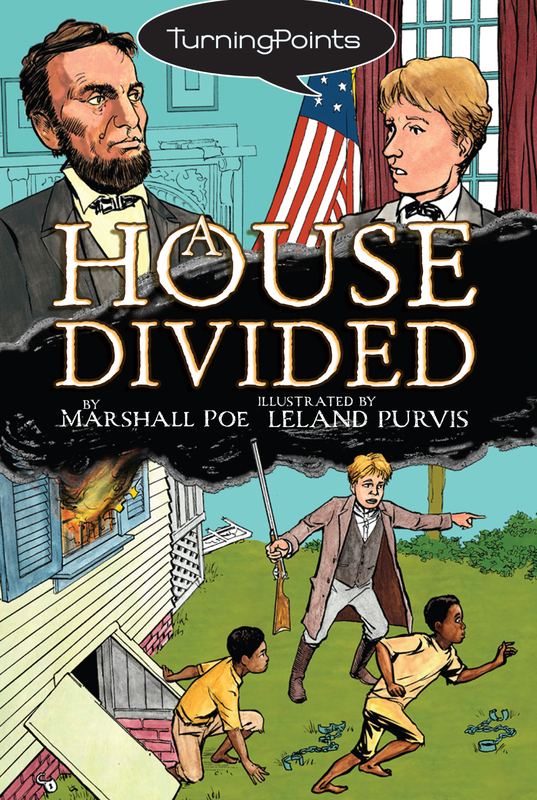 Turning Points historical graphic novels bring these moments in American history to life. When Owen and Amos Bennington's mother and father, vocal abolitionists, are killed in 1856, the brothers are driven to continue their parents' quest. However, each sees a different path: The elder brother, Owen, volunteers to help Abraham Lincoln, while Amos is filled with fire and joins up with violent abolitionist John Brown. Ultimately, Amos and Owen reunite for a thrilling moment in Lincoln's personal and our country's political history.